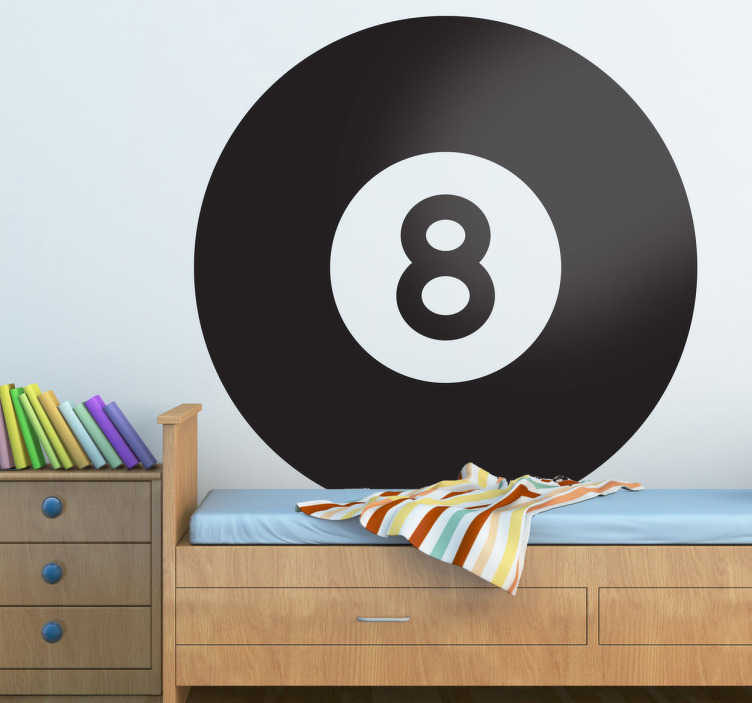 For those that enjoy playing pool this is the perfect sticker to increase your accuracy! Decorate your room and be close to that key ball! This sticker illustrates an important ball in the famous sport. Do you love to play pool? Then give your room a new look with this huge and high quality sticker. Choose your own size! Remember, it is very easy to apply and remove made with anti-bubble vinyl.